Kara is a qualified veterinary nurse with over 10 years’ experience in the veterinary profession. Kara has recently returned to the Northgate practice after having been away for the last 12 years travelling, living and working in Japan, England and Jersey. She has worked as an English teacher, English tutor and an administrator performing various administration and bookkeeping tasks whilst raising 3 children. Prior to her travels she had worked with Bernie for many years and seeing first hand Bernie’s care and compassion towards animals decided to join the Northgate Vet team in 2004 when Bernie had opened the surgery. She worked for 2 years on a full time basis learning more about the business and operational side of a Vet Surgery whilst continuing the rewarding role of caring for client’s treasured animals. 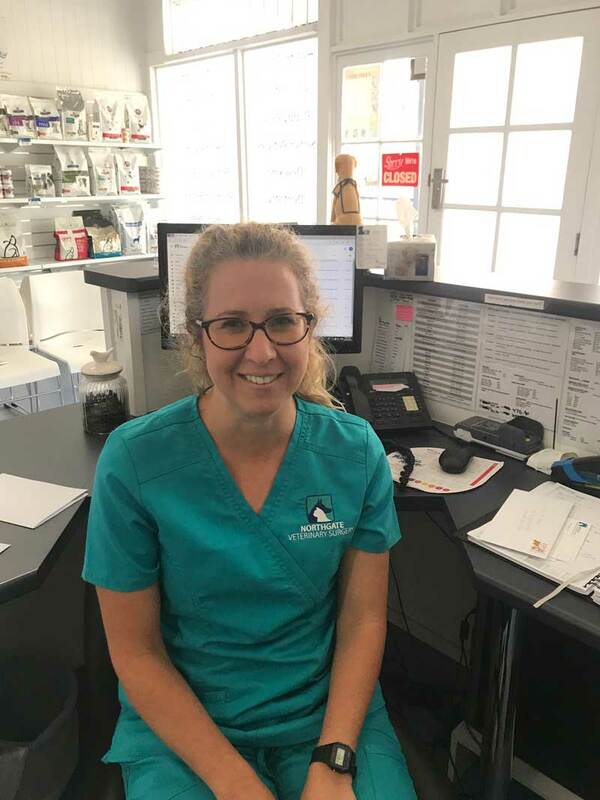 Since returning to Australia Kara has been welcomed back into the Northgate Vet Surgery with open arms knowing that her hard work, dedication to customers and friendly demeanor would be a welcome addition to the business. Since being back, she has adopted a stray kitten that her children have affectionately named it Jersey. Kara said that she “looks forward to catching up with old faces and welcoming new ones”.